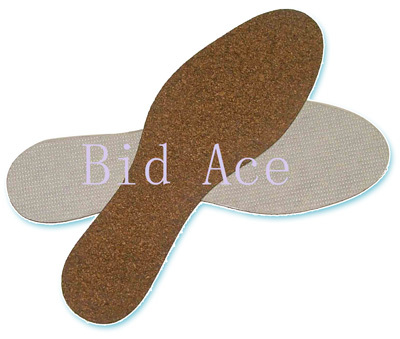 The cork insoles are made from natural cork which is an environmental protection material, high elasticity, absorbing pressure, harmless for human. The insole is breathable, absorbing sweat, removing stinking smell, anti-moisture, anti-frigidity, used in seasons, anti-mildew, scrubed. It can be trimmed with scissors to fit any shoes. The cork insoles are made from natural cork which is an environmental protection material, high elasticity, absorbing pressure, harmless for human. 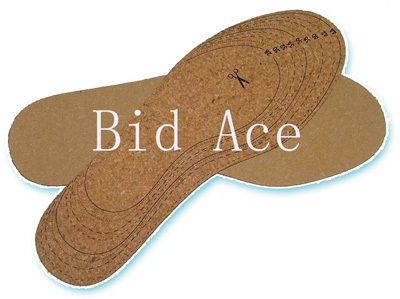 The insoles pasted a cloth on the surface is breathable, absorbing sweat, removing stinking smell, anti-moisture, anti-frigidity, used in seasons, anti-mildew, scrubed. It can be trimmed with scissors to fit any shoes. 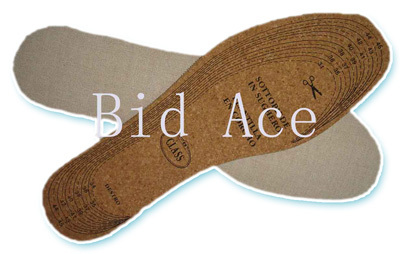 The cork insoles are made from natural cork which is an environmental protection material, high elasticity, absorbing pressure, harmless for human. 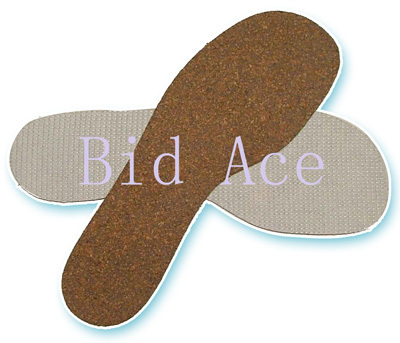 The insoles pasted a cloth on the surface is breathable, absorbing sweat, removing stinking smell, anti-moisture, anti-frigidity, used in seasons, anti-mildew, scrubed.